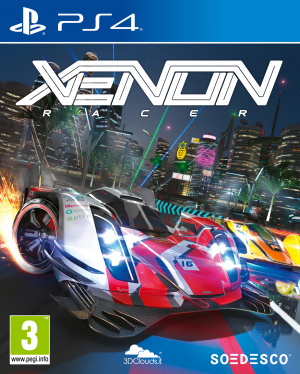 Xenon Racer is a racing game. That’s really the only way to kick off this review because there’s nothing memorable about it. Despite its 2030 setting it doesn’t try anything new – not necessarily a bad thing in itself, but something that becomes worse when you realise developer 3D Clouds hasn’t even got all the basics right. 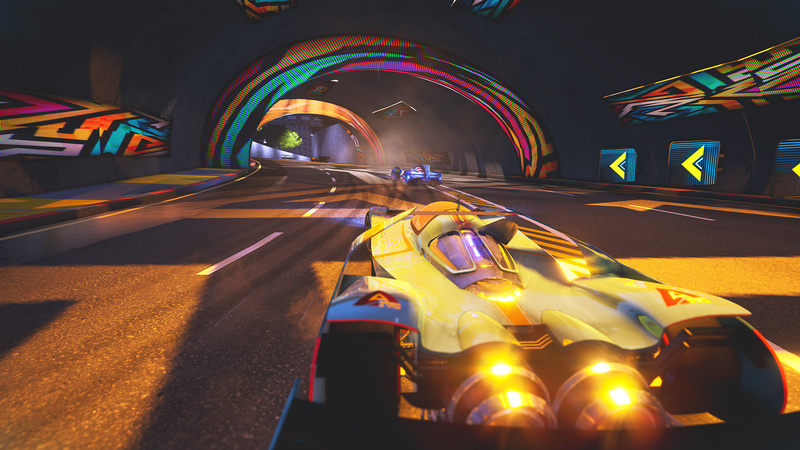 When we say Xenon Racer is a racing game, we mean that there’s very little else to it besides racing. You drive funny-looking cars on tracks that could be interchangeable were it not for the announcer enthusiastically talking about “MIAMI!” or “BOSTON!”. After a few mind-numbing tries, you’ll win a race, get some upgrades, tune up your cars, and complete the process again. That’s really all there is to it. Again, this wouldn’t necessarily be a bad thing if Xenon Racer had a fun twist, a new take, or even just some enjoyable gameplay, but unless you get lucky each race will be either dull or frustrating thanks to the game’s janky controls. 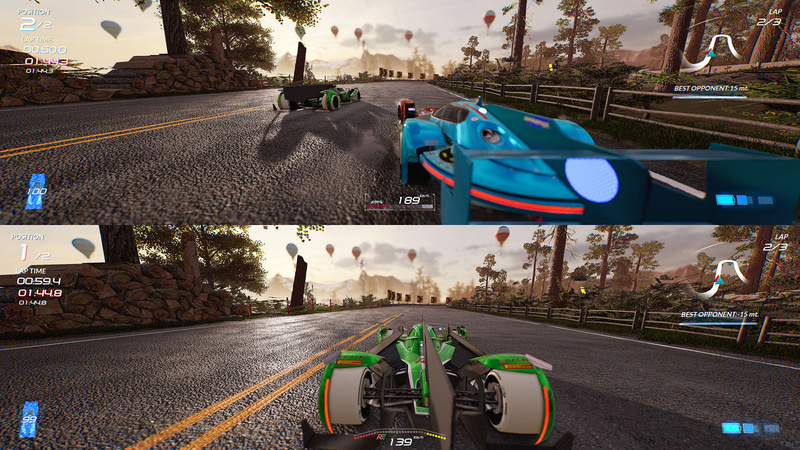 However much you try and upgrade handling, each car turns like a tank – something that becomes hugely problematic when cornering is where you win or lose each race, not to mention the fact that drifting earns you KERS-like speed boosts that let you blitz past your opponents on straight sections. It’s not just that handling is unresponsive: if you’re going into multiple chicanes, sometimes your car will flat out refuse to turn. God forbid the game throws a 90-degree corner at you, because there’s no way you can pull one off without braking to 10mph. Multiple tracks have these corners, and it’s a wonder how they stayed in the game when they’re that difficult to navigate. 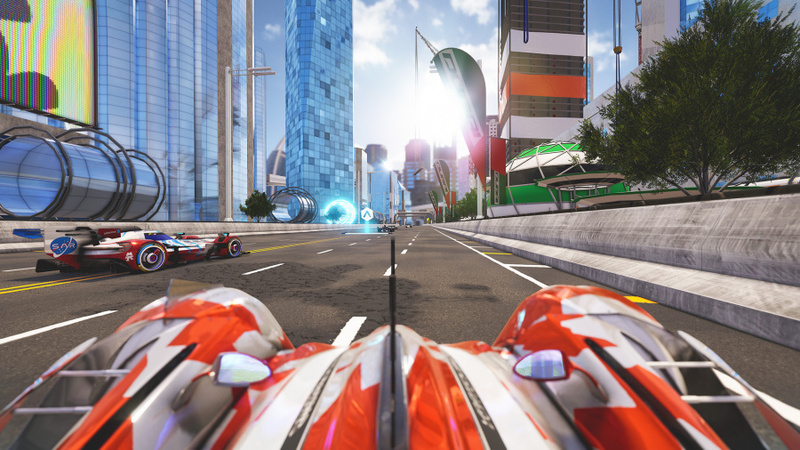 These issues build up to an infuriating climax when you start experiencing Xenon Racer’s seemingly random difficulty spikes in its main Grand Prix mode. The first few races are actually quite fun, just challenging enough to get you excited but certainly winnable. But after that, the difficulty suddenly ramps up and everything gets a lot less enjoyable. You’re thrust into a time trial that took us at least 10 tries to complete since we weren’t given nearly enough time to get to the first checkpoint. Despite the game telling us multiple times that we needed a more powerful car, we only had two cars to choose from, both of which had barely any upgrades unlocked. Races should be challenging, sure, but completing them should be a thrill, not a relief. This spike is a serious turn-off for the rest of the Grand Prix mode, and even when the game opens up and there are more cars to choose from, you always get the feeling that your opponents have better cars than you. If there were multiple ways to unlock cars and upgrades then this wouldn’t be so much as a problem, but from what we played the only way to unlock them was winning races. Outside of the main mode, there’s your usual stock racing game fare. Split-screen multiplayer is thankfully included and could be fun with your friends since there’s no AI involved, but that’s really all there is to it. 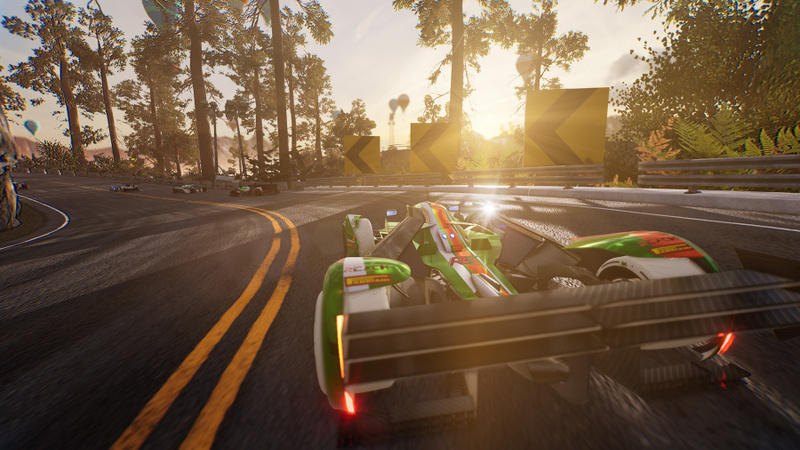 Online multiplayer is a complete desert, so unless you want to play single races, the main Grand Prix mode is really all the game has to keep you interested – and as we’ve just outlined, it doesn’t do a great job of it. Same score that NL gave to their version and they basically made it a comparison piece of "looks and plays worse than the other versions". General rule is this is a bad game regardless. Bad is as bad does. How disappointing. We don't need shovelware racers like this on any platform, much less the PS4. Hopefully the upcoming Sonic kart racer is good. It looked promising, but it was never going to be worth the full asking price. Shame it's actually a dud. Shame, it looked interesting at first but yeah, won't be going near it now.